Safco AlphaBetter 1201BE standing student desk offers a durable beige thermoplastic laminate surface. Height adjustable for added customization. Open shelf provides increased storage options. Dimensions: 28" W x 20" D x 26" to 42-1/4" H.
Safco AlphaBetter 1201BE 28" W x 20" D standing student desk features a 5/8" thick medium density fiberboard (MDF) desktop in a chemical and impact resistant beige thermoplastic laminate finish. 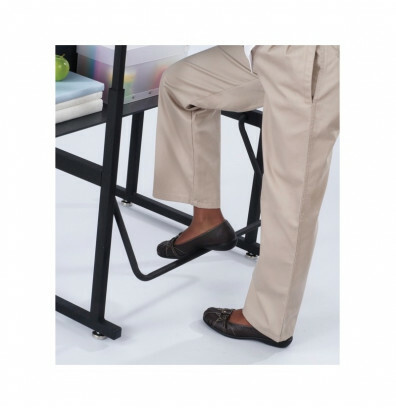 Height adjustable from 26" to 42-1/4" high in 1-1/4" increments. 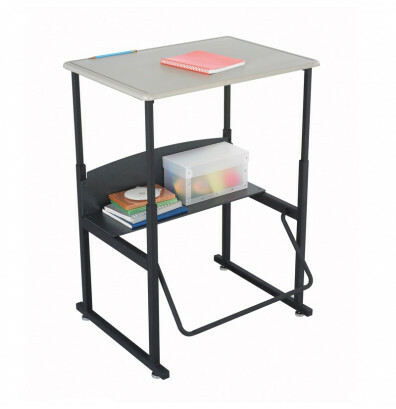 This Safco stand-up student desk is also available with a book box (Safco 1202BE).